LG will unveil the V20 next Tuesday, so understandably more and more leaks and details about it are being outed as we get closer to that day. 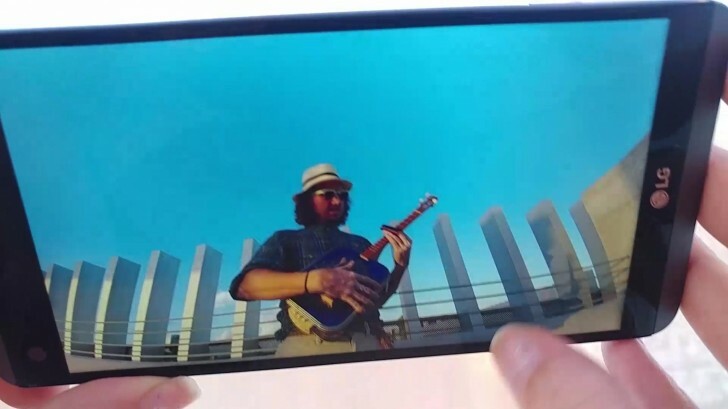 Earlier we told you about the phone's color versions and their marketing names, and now we have a V20 shown in a video in good working order. It only makes a very short appearance though, so make sure you don't miss it (look about 25 seconds in). The V20 is going to be the first new smartphone launching with Android 7.0 Nougat on board. It's expected to come with the Snapdragon 820 chipset, 4GB of RAM, a 5.7-inch QHD touchscreen, and a dual rear camera arrangement. What is clear, since LG's been teasing it a lot, is that the V20 will pack some high-end audio capabilities.